The minute Thanksgiving is over, the kids are ready to dive into Christmas. They want to get the Christmas tree right away, pull out all the decorations, and start counting down the days until Santa comes. 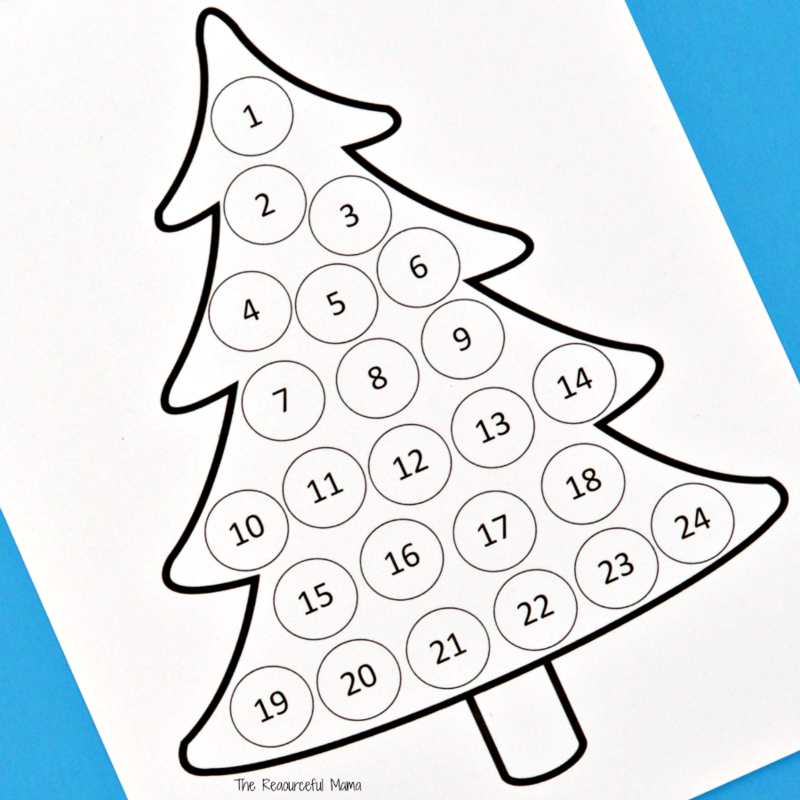 This Christmas Countdown Advent Calendar is a great way for kids to count down the days until Christmas. Advent calendars are a fun Christmastime tradition. They help children, who have little to no concept of time, visualize the number of days until Christmas. I’ve done advent calendars in the past for the kids that have been a lot of fun, but took a lot of planning and preparation. This Christmas countdown advent calendar keeps things simple, allowing you more time to enjoy the holiday season. This Christmas Countdown Advent Calendar is so versatile. You can use Do A Dot Art! Markers, bingo daubers, stickers, pom poms, crayons, and I’m sure many more things to fill in your days. Tag us on Instagram, Twitter, or Facebook and let us know how you use the calendar. Really useful for lessons. Thanks !